I'm back with the Week 5 update! This might be my best week yet! Target is running an awesome promotion this week where you get $10 off of $50 in groceries! That makes for an awesome deal even if you don't have coupons! I paired that coupon with sales and other coupons to get the best bang for my buck. So first, retail value was around a whopping $100. With the sales and coupons, and the additional $10/$50, I paid just a little over $18! That is a $70 savings on things I needed and already buy! Wow. I wish our Target was a Super Target, but it isn't so I have to venture to Walmart to get produce. I got all of this week's produce for less than $4. I price matched everything at Aldi's prices and had coupons for the Zest soap where I got some overage. Retail value of the stuff from Walmart was about $11. That's another $7 savings. 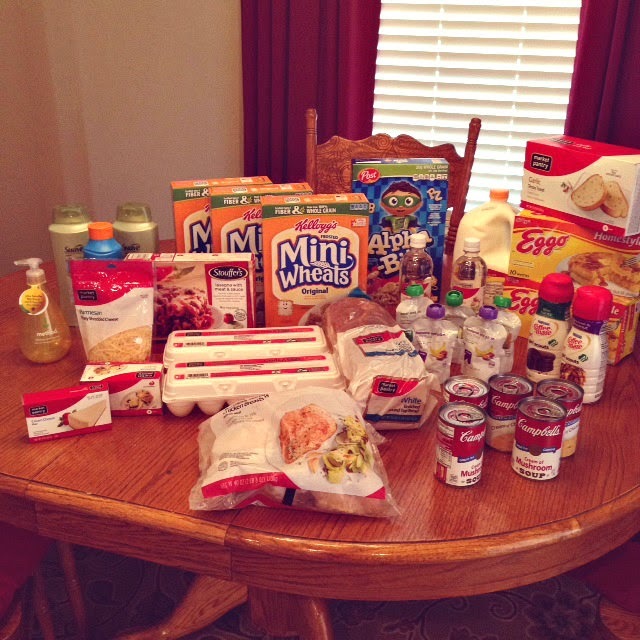 Check out these posts from Hip2Save to see where I got most of my Target deal ideas.